There are so many prenatal vitamins on the market. Which ones do you go with? I have tried my fair share of prenatal vitamins, with this being my second pregnancy. I recently discovered Morning Pep Prenatal’s and I’m so happy I did. 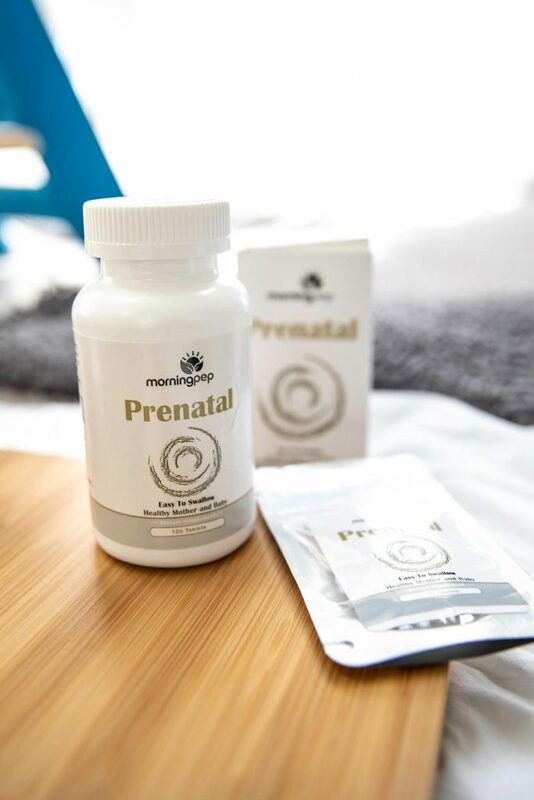 Morning Pep offers quality prenatal supplements that provide optimum health for both mother and baby. Not all prenatal vitamins are alike. Some do not include omega-3 fatty acids, which might help promote a baby’s brain development. Your health care provider might recommend an omega-3 fatty acid supplement, in addition to prenatal vitamins, if you don’t eat fish or foods high in omega-3 fatty acids. It’s very important to pay attention to the nutritional label on your prenatal vitamins so you ensure you’re giving both yourself and your developing fetus all it needs to be healthy. Morning Pep brings you a complete quality prenatal For optimum health for mother and baby. This vitamin is carefully crafted with all essential nutrients necessary for expecting and nursing mothers. Their prenatal is food-based and rich with nutrients. A superior blend to aid with morning sickness and nausea all in a one easy-to-swallow tablet. Blend Is Formulated In A Way Where It Is Will Be Maximally Effective To Support Brain, Eye, And Nervous System Function. Folic Acid Comes In The Form of L-Methyl Folate, The Most Bioavailable And Easily Absorbed Form of Folic Acid Or Folate. Tablets Are Odorless And Tasteless So You Do Not Experience Any Side Effects Like Nausea Etc. Includes 25 MG of A Superior Blend of PROBIOTICS & ENZYMES And 800 MCG of Folic Acid (Folate). Supports A Healthy Pregnancy, Breast Health, Healthy Estrogen Levels And The Immune System. May Helps Support Hormone Related Mood Swings. It’s best to take prenatal vitamins throughout your entire pregnancy. After your baby is born, your health care provider may recommend you continue taking prenatal vitamins — especially if you’re breast-feeding. If you fall in the demographic of the “childbearing age” and are planning to conceive you should be taking a prenatal vitamin. Doctors recommend taking prenatal supplements up to three months before you conceive. Prenatal vitamins help boost fertility and the general health of the mom-to-be. 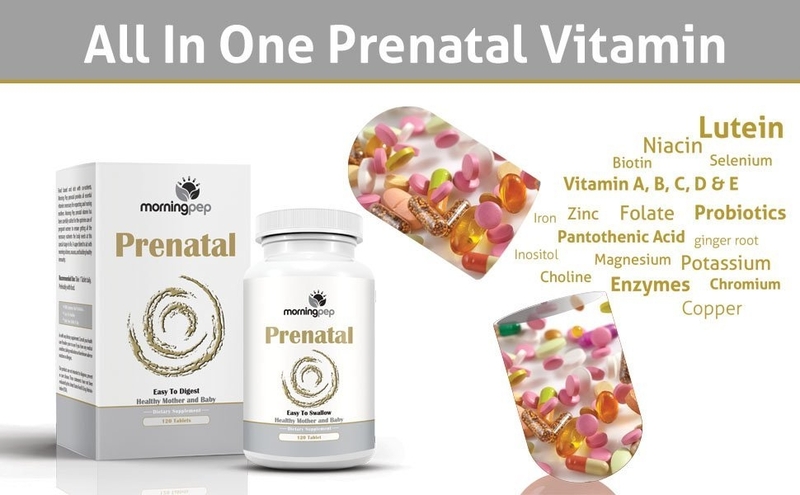 The specialized nutrients contained in prenatal vitamins – including Vitamin A, calcium, iron, folic acid, zinc, C, D, B-complex and omega-3-fish oil all help aid in the development of a healthy baby in vitro. One of the main reasons to consider taking a prenatal vitamin while trying to conceive is the most important role they play during the course of pregnancy, previously mentioned, the aiding of the neural tube development. Since this development happens early on in pregnancy – often before a women discovers she’s pregnant – it is beneficial to take prenatal vitamins as soon as one plans on getting pregnant. It brings me great comfort knowing that I am taking a vitamin that is giving my body the nutrients needed to grow a whole new person. I wanted to share with you a few reasons why I’m currently taking Morning Pep prenatal vitamins. First and foremost, these vitamins contain Methyl Folate (B12). I’m sure you have heard from either your practitioner or on the vast posts out on the great world wide web, emphasizing the importance of folic acid. Did you know that “folic acid” in many of the over-the-counter supplements are actually synthetic? This means that your body doesn’t process folic acid as well as its food-derived counterpart, folate. Read more about the differences of folic acid and folate, here. In addition to folate, Morning Pep prenatal vitamins include 25mg of probiotics and enzymes, which contribute to a healthy gut and digestive health. What’s nice about these is that they are gluten-free, GMO-free, and they have probiotics all in one pill – so no need to take multiple pills! Reasonably priced, these vitamins contain the perfect combination of nutrients meant to aid in morning sickness and nausea. 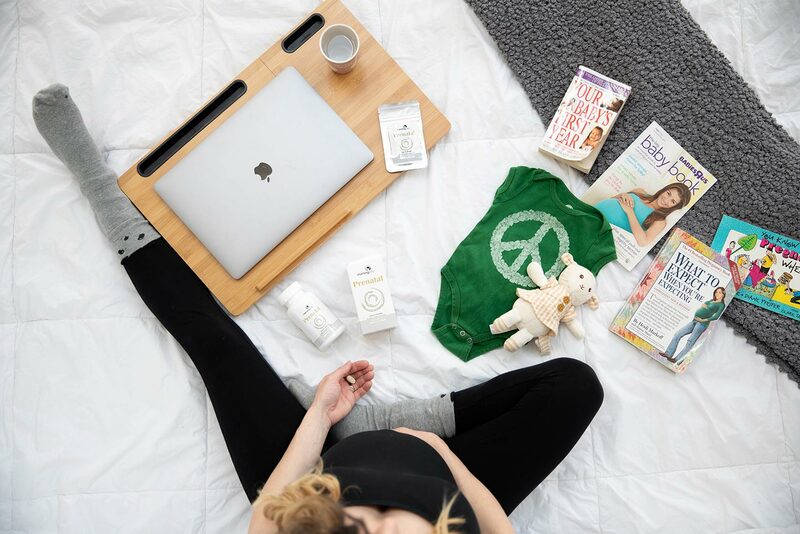 I know many women suffer from morning sickness and this vitamin is a great way to combat those issues while giving your body and baby what it needs! Lastly, these all-in-one Morning Pep prenatal vitamins are manufactured and packaged in the USA. I love supporting companies that originate in my home country. Be sure to check these out if you’re expecting or planning to be become pregnant! Want to save some money on your next vitamin purchase? Click the link below for a special savings! Do you take a daily or prenatal vitamin? Disclaimer: I was given items in this post for the purpose of a review. All opinions are my own as always, and I would only recommend products I would use myself. Interesting. I’ll likely have to give these a try if I decide to have another baby. I’m always looking for better vitamins.